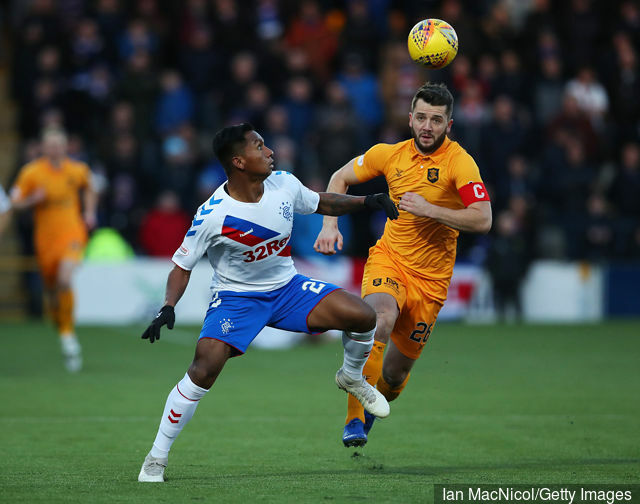 Ibrox Noise: Morelos apology; do Rangers fans accept it? Morelos apology; do Rangers fans accept it? Yesterday afternoon at around 5PM Rangers striker Alfredo Morelos apologised. The Colombian striker said sorry for his red card, just like he’d apologised previously for red cards this season. If ever an apology sounded forced and entirely instructed by his agent and/or the club it would be this one. Furthermore, it sounds like he and one of the staff compiled it together to see what would sound best to fans and placate the Colombian as much as possible, not to mention for the further obvious reason he barely speaks a word of English. The response overall has been mixed – after the initial rage over his actions, some fans seem to have softened on it, but when they then remember his appalling disciplinary problems will cost Rangers his services for the next four games the sentiment seems to halt. It was right for him to apologise, but even the apology itself completely lacks commitment or affection towards the fans, the club or the staff. Morelos has never once truly shown any real affinity with Rangers, with any platitudes contrived and mild, and if ever he wanted to play to the galleries and get himself a little slack a ‘WATP’ or ‘FF’ at the end might have helped. Not even club slogans get into Morelos’ repertoire, not even when he’s trying to apologise, however hollow. Rangers have been nothing but a stepping stone for this player since he joined – and the fact he’s barely hidden that and even in an apology can hardly rise to do so speaks volumes for his character as a Rangers player. But that’s just our take. Do you fine readers accept his apology? Nope. Apologies are empty without the actions to back it up, but he may never get the chance to show it. I agree completely, a few sessions with a Spanish speaking mental health consultant could fix the problem. Same as Suarez and 20% of the general population. Exactly. When Morelos kicked McKenna, he got sent off. When Brown kicks Morelos, Morelos gets sent off. I get why he is punished for retaliation, but why is Brown allowed to kick people and Alfredo isn't? Does anybody have an answer to that? Morelos plays for morelos.I think the whole team would benefit from not having to babysit the child like behaviour from him. Alfredo is one of our own (for the time being anyway) get behind him and the rest of the team! Don't let them win by in-fighting. We seen second half what we are all about they were running scared and unfortunately the margins between success and failure at this level are very thin and it came down to one slack pass. Never Never Never give up! The worrying thing for me about his statement is that he says he will do everything in his power to make sure it doesn't happen again. That implies that he has the capability to do something about it but to this point he just couldn't be arsed. Maybe if he had come out and said loss of a weeks wages wasn't enough of a punishment and that he would donate a months pay to Rangers fans he could've bought back some support. There is no way we will get 20 million for Morelos,,will be lucky to 5/6 million. He needs to go, take half the team with him!! Alfredo need to have sessions with a Spanish speaking counsellor or mental health specialist as did Suarez and 20% of our population. "Never happen again " he will only have 3 chances left after his ban !! As has been said above he's been playing for a move away all season and he will be paid £100 k to sit in the stand for the next month . I personally think Rangers is round about his level at the moment and if he heads to Germany Or the Premier in the summer he's gonna become a frustrated sub scoring in single figures every season and losing his Columbia place ...let's face it he gets frustrated very easily ...I hope I'm wrong but moving up a level or 2 I think he will be bang average ! !